This fan features outstanding quality, silent operation and an extremely long lifespan! The GELID Gamer fan with its patented design makes another leap forward in the development of modern fans. The used materials are of the highest quality which ensures a lifespan of at least 100.000 hours. The fan blades are specially designed to offer the perfect compromise between Airflow and noise emission. 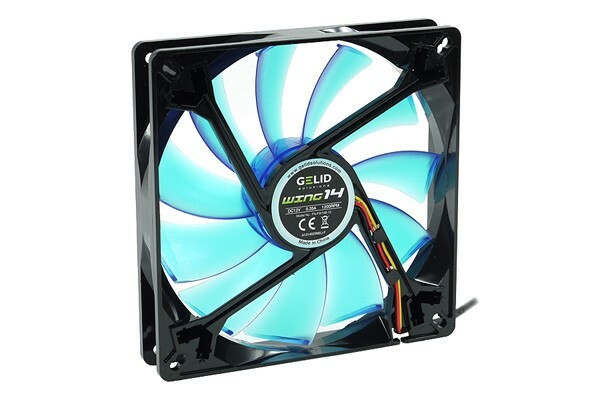 The fan has a starting voltage of only 5V which is especially interesting for silent systems as the slow speed at such low voltages allows near inaudible operation. Another unique feature of the fan is the fact that no screws were used to attach the motor to the fan frame but rather soft silicone which furthermore reduced noise emissions. The bearing of the motor is not a normal ball bearing but is achieved by a magnetic field which reduces wear and noise levels.